(v. 19) Or do you not know that your body is a temple of the Holy Spirit within you, which you have from God, and that you are not your own? (v. 20) For you were bought with a price; therefore glorify God in your body. Howdy—1840, Southern United States dialect, meaning “how do you do,” inquiring about someone’s health. One often finds in greeting one another that friends inquire about the status of the health: “Hello, how are you doing?” Or, “How are you getting along?” No matter what the appearance, how we greet each other expresses a concern and at the same time an acknowledgement of unknowingness [sic] about the condition of the person being greeted. Our scripture reminds us that our body, our physical being, is not all there is to us–for we are not just flesh, but we are also spirit and we are of God. If the temporary body is inhabited by God then, as we care for our body, we are caring for a sacred temple. The body then becomes not so much something to worship, but an aspect of our being that should express through our actions that we know our bodies as sacred space. To this extent, we are called to keep a higher awareness that we are more than our physical selves. This congregational song links the healthy body with the success of outrunning that which is evil and not worthy of the body “temple.” It clearly indicates that there is a need to be conscious about that which is not good in the world and to be conscious of our need to keep oneself in the right path and on the right journey. Tindley’s most famous gospel hymn, “Stand by Me,” is composed as a prayer call. The first lines identifying the challenges we face, with each line ending with the plea, “Stand By Me.” The last line of each stanza identifies the deity without actually using the term “God.” This is a teaching hymn, poetically using the day-to-day language of members in his pews to speak of the presence of “God” in their lives at every turn. Each verse concludes with a text that never ends leaving no question as to whom we can turn with any situation or condition. Then, in the last verse, Rev. Tindley directly addresses the health trajectory of our physical body, the temple that is the concern of this lesson. In another hymn, “Leave it There,” Reverend Tindley teaches that we are not alone; that we need not carry the weight of the world on our backs or be brought to an unhealthy state of unrest. There is a place, there is a source to which we can go and leave our burdens and maintain our peace and sanity that we need to keep moving forward. Take your burden to the Lord, and leave it there. How many of us know that whenever the doors of the church open, certain members can be found in their regular seats in their pews? These Christians have found their church worship practices essential to their survival and to the way they feel physically and spiritually. They go to the doctor and equally go down in prayer when they are emotionally or physically burdened. There are many stories of the relationship between a strong prayer life and positive changes in health. A friend told me the story of his grandmother who had been diagnosed with terminal cancer. She came home and turned to prayer. Daily she asked God to tell her what to give her body for sustenance and daily she ate what came to her as she got up from prayer. The tumor got smaller, finally disappeared and she lived another twenty years. 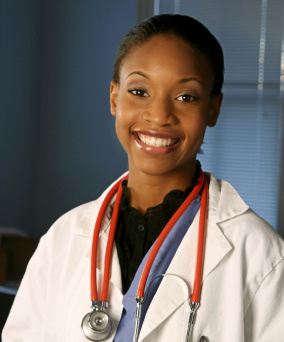 In their 2003 article, “African American Church Participation and Health Care Practices,” authors Kaytura Felix Aaron, David Levine, and Helen R. Burstin, all MDs5 report on a series of studies conducted to establish the relationship between African Americans’ church attendance and improvement in health care. In one case, using a cross-sectional analysis from 2196 residents in a low-income African American neighborhood, they found that 37% of community members attending church at least monthly were more likely to take advantage of health care practices available to them. This ranged from blood pressure tests, to pap smears, dental visits, to participating in a regular source of care. Community and faith-based organizations present additional opportunities to improve the health of low-income and minority populations. 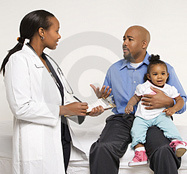 The doctors also found that public health practitioners used the church to provide information and increased access to African Americans for health improvement efforts. Religious involvement, in addition to providing greater access to health intervention, exerts positive and diverse health benefits for African Americans. They also studied the corollary between organizational involvement in the life of congregations including church attendance, and prayer meetings and subjective religious involvement where participants described themselves as religious. They found that religious participation reduces mortality risks and improves health status and the quality of life for African Americans. (a) There continues to be a world epidemic spread of AIDS through the transfer of the HIV virus through the exchange of bodily fluids. And although there has been progress, there is no cure; and there is a struggle to provide drugs to those suffering in poorer nations. While the death count goes down for those who have access to treatment and medicines, the death count continues to rise in poorer countries among them, many African nations. As humans we are sexual beings. HIV/AIDS has become a marker, suggesting that we have to individually be more conscious and intentional in our sexual practices. We actually have to change the way we mate. There needs to be talk about this joining that can be transcendent and dangerous. We must not simply issue platitudes but take the time to teach ourselves and our partners about how to really show love and respect for this amazing body temple with which we are blessed. In his study, “The Black Church in the Post Civil Rights Era,” Anthony B. Pinn6 (scholar and Lectionary team member), devotes a chapter to the variety of responses by black churches to AIDS and drug use. Responses range from direct intervention, education, to direct community activism. Pinn is also critical of the way many black churches continue to preach against gays and lesbians and, at the same time, benefit from their active presence and participation on many levels. (b) In 2009, H1N1,7 also known as the swine flu, began sweeping and continues to sweep the planet. Vaccine production and distribution did not meet projected delivery targets. Those in leadership, unfolding the response to this danger, are making up the rules as they go, trying to give structure and some assurance without being able to predict the progression of the disease or the vaccine supply. administration acted hastily, while others argue that the administration's action staved off a wider spread of the disease. Today we face a new flu which is also called the swine flu or HINI flu. H1N1 (sometimes called “swine flu”) is a new influenza virus that can make persons ill and even kill them. This new virus was first detected in people in the United States in April 2009. This virus is spreading from person-to-person worldwide, probably in much the same way that regular seasonal influenza viruses spread. On June 11, 2009, the World Health Organization (WHO) signaled that a pandemic of 2009 H1N1 flu was underway. How does the 2009 HIN1 Virus Spread? The 2009 H1N1 virus is contagious and is spreading from human to human. Spread of the 2009 H1N1 virus is thought to occur in the same way that the seasonal flu spreads. Flu viruses are spread mainly from person to person through coughing or sneezing by people with influenza. Sometimes people may become infected by touching something – such as a surface or object – with flu viruses on it and then touching their mouth or nose. The symptoms of the 2009 H1N1 flu virus in people include fever, cough, sore throat, runny or stuffy nose, body aches, headache, chills and fatigue. Some people may also vomit and get diarrhea. People may be infected with the H1N1 flu virus and have respiratory symptoms without a fever. Illnesses caused by the 2009 H1N1 virus have ranged from mild to severe. While most people who have caught the virus have recovered without needing medical treatment or hospitalizations, the CDC verified that at as of January 2010, at least three hundred people have died in the United States from the virus. CDC laboratory studies have shown that no children and very few adults younger than 60 years old have existing antibodies to the 2009 H1N1 flu virus; however, about one-third of adults older than 60 may have antibodies against this virus. People infected with seasonal and the 2009 H1N1 flu virus" may be able to infect others from one day before getting sick to five to seven days after. This can be longer in some people, especially children and people with weakened immune systems. Dr. Joe Bresee describes how to keep from getting the flu and spreading it to others by taking these three steps. As another flu season approaches, this is information that’s needed. Cover your nose and mouth with a tissue when you cough or sneeze. Throw the tissue in the trash after you use it once. Keep away from others as much as possible to keep from making others sick. Washing your hands often will help protect you from germs. The CDC recommends that when you wash your hands -- with soap and warm water -- that you wash for 15 to 20 seconds. When soap and water are not available, alcohol-based disposable hand wipes or gel sanitizers may be used. You can find them in most supermarkets and drugstores. If using gel, rub your hands until the gel is dry. The gel doesn't need water to work; the alcohol in it kills the germs on your hands. At the same time that we strive to contain costs, we cannot stand by as tens of millions of Americans lack health care coverage. An unhealthy workforce leads to an unhealthy economy, and moving to provide all Americans with health insurance is not only a moral imperative, but it is also essential to a more effective and efficient health care system. Investing in prevention and wellness programs. Over a third of all illness is the result of poor diet, lack of exercise, and smoking. Indeed, obesity alone leads to many expensive, chronic conditions including high blood pressure, heart disease, diabetes, and even cancer. Furthermore, there are important vaccines that can prevent diseases, and screening tests that can detect cancer and other diseases at an early stage when they are more curable. Yet many Americans are not getting these effective treatments. President Obama has devoted, through the American Recovery and Reinvestment Act of 2009, an unprecedented $1 billion for prevention and wellness interventions. This could dramatically expand community-based interventions proven to reduce chronic diseases. Guarantee Choice. The Health Care plan should provide Americans a choice of health plans and physicians. People will be allowed to keep their own doctor and their employer-based health plan. Make Health Coverage Affordable. The plan must reduce waste and fraud, high administrative costs, unnecessary tests and services, and other inefficiencies that drive up costs with no added health benefits. Protect Families’ Financial Health. The plan must reduce the growing premiums and other costs American citizens and businesses pay for health care. People must be protected from bankruptcy due to catastrophic illness. Invest in Prevention and Wellness. The plan must invest in public health measures proven to reduce cost drivers in our system—such as obesity, sedentary lifestyles, and smoking—as well as guarantee access to proven preventive treatments. Provide Portability of Coverage. People should not be locked into their job just to secure health coverage, and no American should be denied coverage because of preexisting conditions. Aim for Universality. The plan must put the United States on a clear path to cover all Americans. Improve Patient Safety and Quality Care. The plan must ensure the implementation of proven patient safety measures and provide incentives for changes in the delivery system to reduce unnecessary variability in patient care. It must support the widespread use of health information technology with rigorous privacy protections and the development of data on the effectiveness of medical interventions to improve the quality of care delivered. Maintain Long-Term Fiscal Sustainability. The plan must pay for itself by reducing the level of cost growth, improving productivity, and dedicating additional sources of revenue. No one knows how the battle to revamp health care will play out over the next decade, which is about how long it will take to assess whether or not budget decisions made or not made and policy changes made or not made NOW, have helped or worsened health care in America. What we do know is that if we do nothing or do too little millions of Americans will suffer and many will die because of the broken American health care system. 2. Reagon, Bernice Johnson. “Searching For Tindley.” We'll Understand It Better by and by: Pioneering African American Gospel Composers. Washington: Smithsonian Institution Press, 1992. pp 37-52. 3. Tindley, Charles Albert. “Stand By Me.” Songs of Zion. Supplemental Worship Resources, 12. Ed. Cleveland, J. Jefferson, and Verolga Nix. Nashville, TN: Abingdon, 1981. p. 41. 4. Tindley, Charles Albert. “Leave It There.” African American Heritage Hymnal. Chicago, IL: GIA Publications, Inc., 2001. p. 420. 6. Pinn, Anthony. The Black Church in the Post Civil Rights Era. Maryknoll, NY: Orbis Books, 2002.